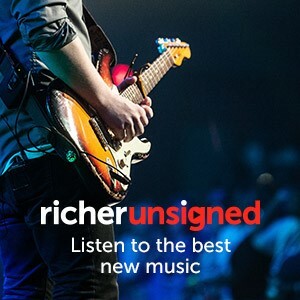 Every month, our friends at new talent showcase site Richer Unsigned invite a guest curator to put together a playlist of the best new acts around. The latest playlist from our friends at Richer Unsigned, brought to you this month by Channel 5. The January instalment of the best of Richer Unsigned. Radio X put together a playlist of their favourite unsigned acts for Richer Unsigned. Legendary guitar makers Fender put together a playlist of their favourite unsigned acts. Artist Playlist – Sunflower Bean's "Songs to Cook Breakfast To"
Artist Playlist – Boy's "Swiss & German tracks you probably haven't heard of..."